This Watermelon Patch Clip Art is truly Adorable! Get Yours for FREE! This is a great set of cute illustrations that will get you into summer spirits. The illustrations are created by the talented Keepin’ It Kawaii. 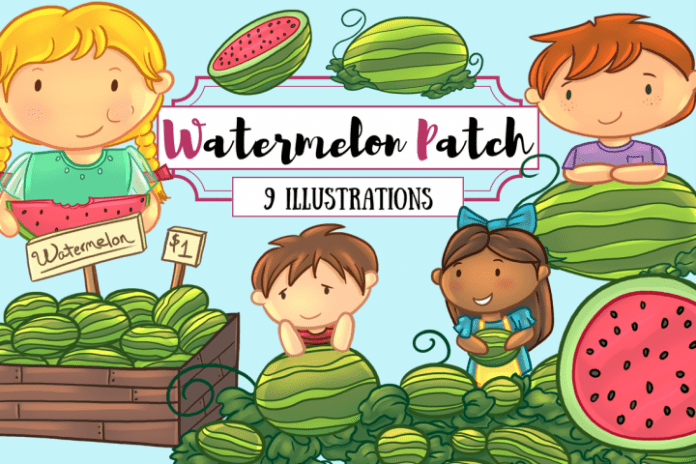 This collection contains 9 super cute illustrated images of children and watermelons. The images are in high resolution at 300 DPI and in PNG format with a transparent background. This clip art collection is perfect to use for your crafting projects, for greeting cards, blog postings and many other things.